Students watching the documentary "Boys of Baraka" based on a group of students from Baltimore who studied abroad in Kenya, Africa in 2005. Muse 360 leader Bashi Rose talking with the students. 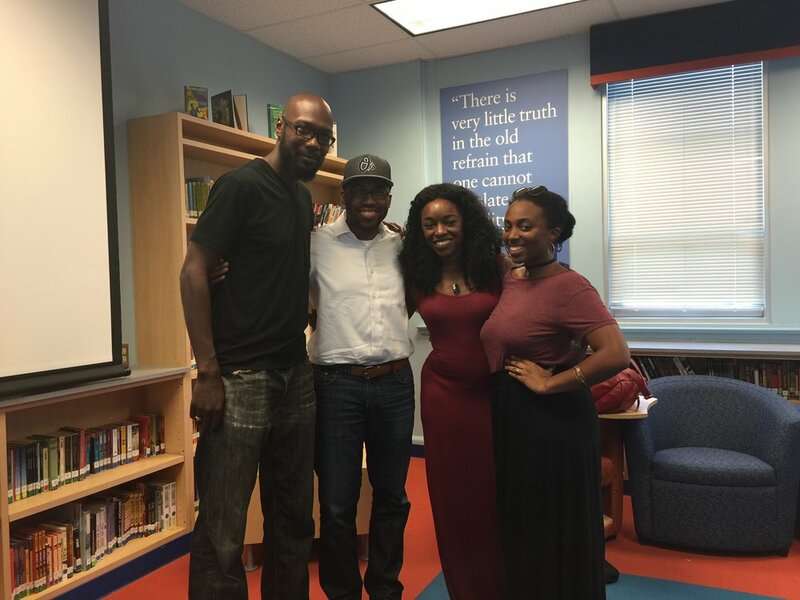 Muse 360 Director Sharayna Christmas, students and guest speakers Selwyn Ray and Devon Brown (far right), a former Baraka student. Co-Founder of ADA Moriah Ray and Director of Muse 360 Sharayna Christmas with some of the students from Muse 360 and ADA. A total of 14 students will be traveling to Cuba this summer! Students meeting with Director Amberly Ellis and Jeremy Mines about the documentary being filmed about the students journey to Cuba. Guest Speaker, Selwyn I. Ray, former Director of Baraka Youth foundation sharing with the students the importance of travel. CoFounder Moriah Ray presenting to the students at ADA's after-school workshops. Co-Founder Jasmine Hall sharing with students. Pictured with guest speaker, Nia Hampton, and Amberly Ellis, filming. Guest speaker Levon Andrews, former Baraka youth speaking with the students about how studying abroad changed his life.